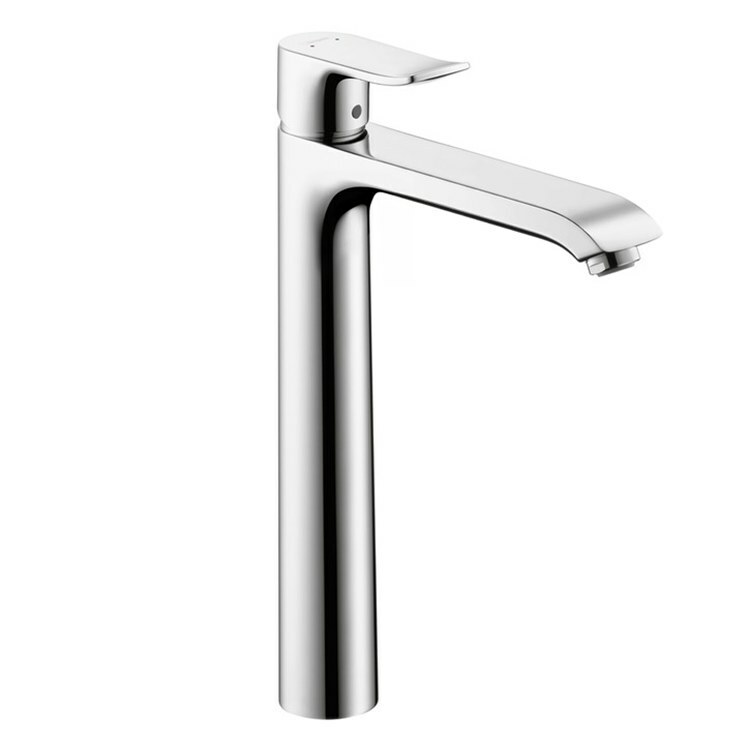 Blending classic and modern design, the Metris collection brings bathroom style into the here and now with simple, understated elegance and balanced curves. This single-hole Metris 260 faucet for vessel sinks features easy, single-handle operation and an aerated spray. The faucet measures 12-7/8" high overall. Spout measures 10" high with a 7-3/4" reach. Comes with a lever handle, pop-up drain assembly, and mounting hardware.